Attendance at talk only at 6:15. Bring student ID. Click event title above for full description and registration. 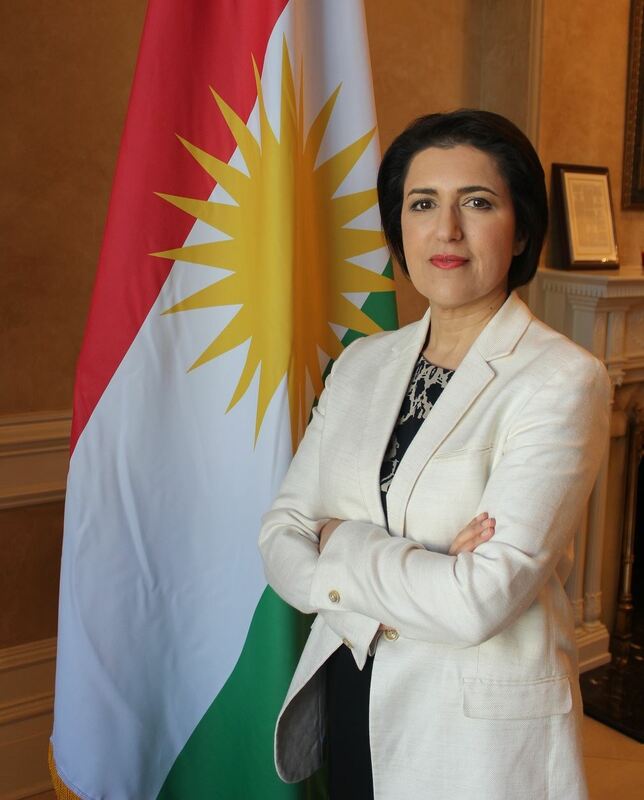 …a conversation with Bayan Sami Abdul Rahman Kurdistan Regional Government Representative to U.S. Even though the Kurdish Peshmerga soldiers of northern Iraq have been indispensable in the U.S./Coalition battle against ISIS, few Americans know much about either the people or the region. Ms Abdul Rahman will describe the Kurdistan Region geographically and culturally as she talks of the complex of crises that her country is facing today: a war with ISIS across more than 600 miles, a humanitarian crisis that has increased the region’s population by 30%, a financial crisis caused by the crash in oil prices and other political factors. At the same time, Kurdistan has remained a safe haven for religious and ethnic minorities escaping genocide, and so protects hundreds of thousands of Yezidis, Christians, Shabak, Kakai and other groups, as well as Sunni and Shi’a Arabs. Prior to serving as Regional Government Representative in the U.S., Ms Abdul Rahman was the High Representative to the United Kingdom. She was elected to the Leadership Council of the Kurdistan Democratic Party in 2010. Before her career in public service, she was an award-winning journalist in Britain with a degree in history from the University of London. Download the flier to share or to register by mail.